This activity is fun for a large range of ages (and can be done with various colors for other holidays or events)! Separate the sand into various bags (each child should have 3). Add the red and blue food coloring to two of the bags and give them to your kids to shake, pull and spread the color around. Once mixed, simply layer the different colors of sand inside the jars! Pro tip: adding Greek yogurt to the waffle mix will make them light and fluffy on the inside and crisp on the outside. Once your waffle mix is prepared, add blueberries to it. Grease the waffle iron and pour in batter, smoothing it to the edges with a spatula. 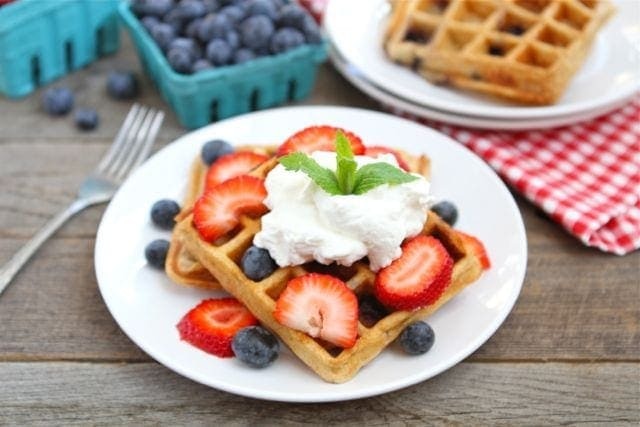 Once cooked, serve the waffles with strawberries, blueberries, and whipped cream. This festive hack is both easy and inexpensive! Get a bouqet of red and white flowers and put them in a clear vase. Simply add a few drops of blue food coloring to the water and you'll have the perfect 4th of July centerpiece. You can also stick an American flag in each vase for some extra red, white, and blue. Make this red, white and blue sangria for adults to enjoy! Combine the wine with the triple sec and berry vodka (if you choose) with the lemon juice and simple syrup in a large pitcher. Cut pieces of pineapple into star shapes using either a cookie cutter or a knife. Mix the fruit and liquids together, chill and serve! Kids will love spray painting in the backyard for this fun DIY decoration. Cut out a star shape from a piece of cardboard or construction paper. Use construction marking spray paint to avoid ruining your lawn, which you can find it at home depot. 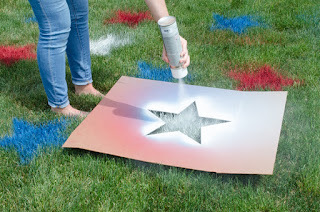 Then, simply spray paint over the stencil for fun red white and blue lawn stars. 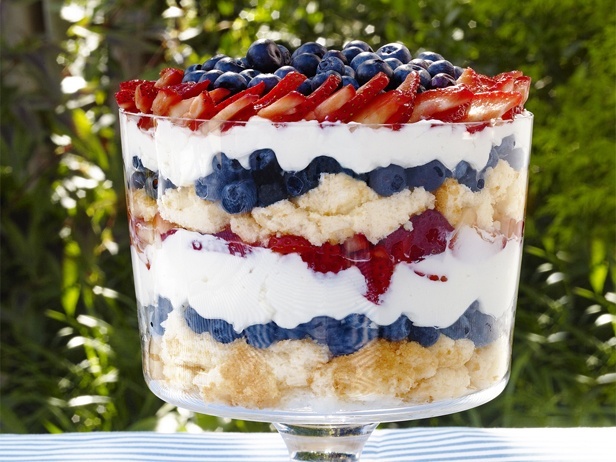 This patriotic desssert is delicious and easy to make. Start with a layer of angel food cake at the bottom. Then, layer blueberries, whipped cream, and strawberries on top. Continue to layer until the parfait reaches the top of the trifle dish. Finish the dessert with strawberries and blueberries arranged on top. This recipe can also be made into individual parfaits, using small mason jars instead of a trifle dish.